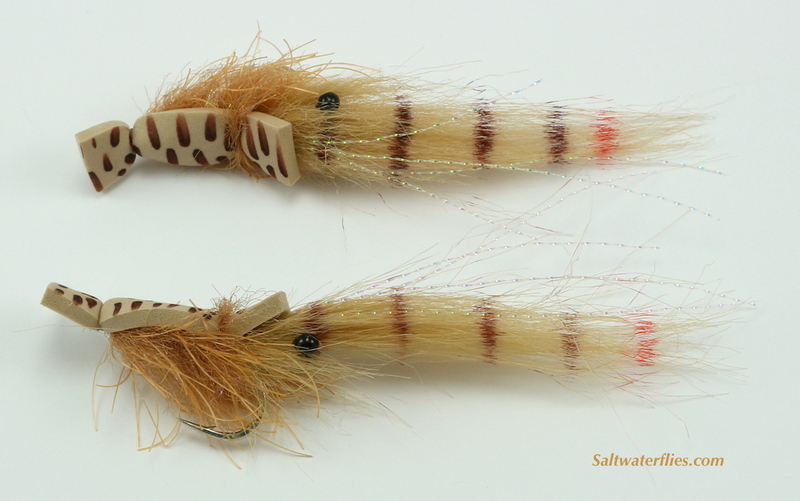 The Shrimp Gurgler is a really fun fly to fish for Tarpon, Redfish, Snook, Seatrout, and more. Our version of this fly was inspired by ones made by Capt Francisco "Pochy" Rosario - the Tarpon Hombre. Pochy's fly is deadly on tarpon, and nothing compares with the massive explosion when a big tarpon eats a fly like this at the surface! Great fly for both adult and baby tarpon. A nice fly for surface feeding reds too. 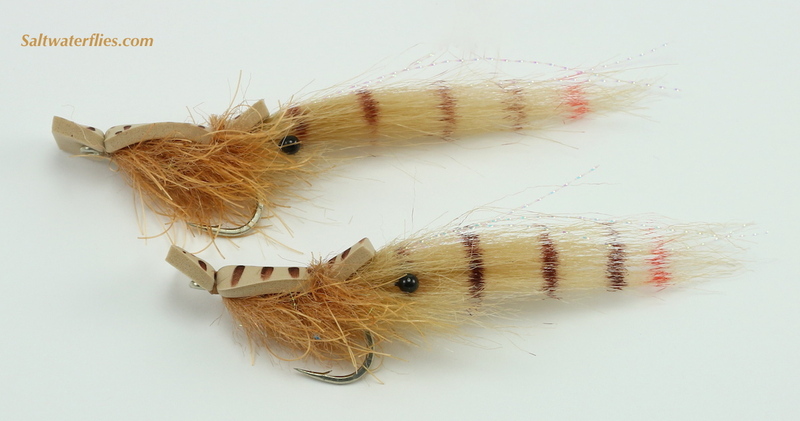 The Shrimp Gurgler is approximately 4 inches (10 cm) long, and is tied on the strong, sharp Mustad C70 #1/0 hook. Fishing tips: fish the fly very slowly with a steady crawling retrieve - at times the tiniest pop will get the fish to bite, but it can also spook them, so go easy. Fish may also take this fly sitting still, which is a blast. 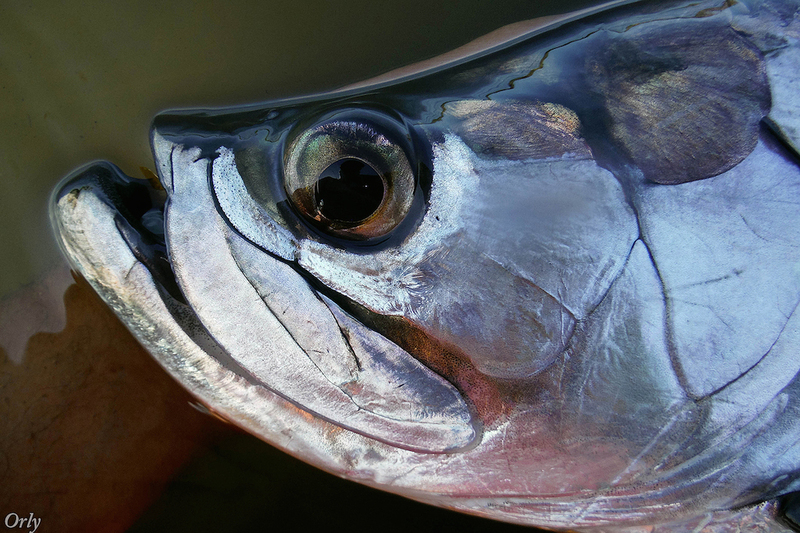 The foam "lip" can be trimmed down a bit to change the way the fly fishes, and the tail can be shortened somewhat if you need to reduce the overall size of the fly - sometimes the tarpon may prefer a slightly smaller profile. Tied by Justin Pribanic - Thanks to Capt. Pochy for sharing this pattern with us - please visit the Tarpon Hombre's website to learn more about booking a great tarpon trip. A tip of the hat is also due to the late Jack Gartside for his original Gurgler design.